Thermal mailers add cushioned, protective packaging, as well as climate control to temperature-sensitive items. 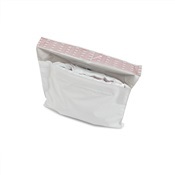 Great for keeping perishables, pharmaceuticals, and other temperature sensitive items at cool temps while being delivered in hot delivery vans. The perfect compliment to this liner is the 16 oz gel pack Mailer contains 1.5" thick of insulation. 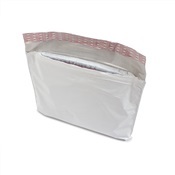 Thermal mailers add cushioned, protective packaging, as well as climate control to temperature-sensitive items. Great for keeping perishables, pharmaceuticals, and other temperature sensitive items at cool temps while being delivered in hot delivery vans. Mailer contains 1.5" thick of insulation.